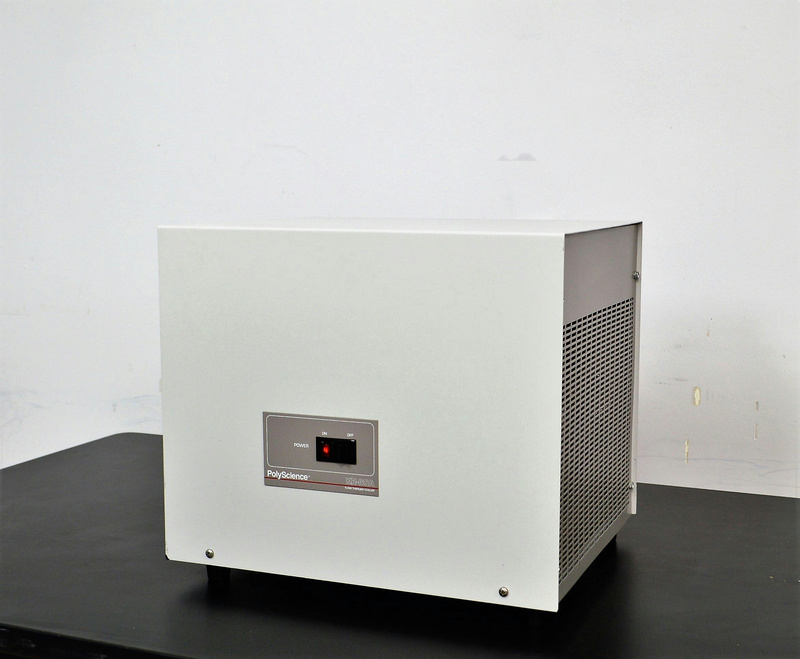 Polyscience KR60A Flow Through Chiller / Cooler 120V . New Life Scientific, Inc. This product appears to have had little to no use, but there are minor cosmetic signs of aging. The flow through cooler is for continuous cooling and designed to run at maximum cooling temperature. This unit came out of a pressure test system with a cooling bath, but could be adapted for any system that requires constant cooling. Other applications include: cooling exothermic reactions, freezing point determinations, impact testing, lyophilization, quick cooling, replace dry ice, solvent traps and vacuum pumps.